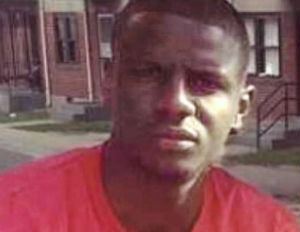 With Baltimore under a state of emergency, residents of the city have begun addressing the question of “What next?â€ This comes as its begins recovering from the aftermath of 25-year-old Freddie Gray‘s death while he was in police custody, as well as the unrest and riots that erupted afterward, injuring dozens and causing an unknown amount of property damage. Technology has already played an important role in this story, with many details of the looting, injuries, fires and other disruptions of Baltimoreans’ daily lives being documented on social media posts on Facebook and Twitter, and recorded in smartphone videos on Vine and Periscope. It’s also these mediums where much of the freshest news was found at the height of the conflicts. But tech is also playing another role in the post-unrest aftermath. A group named Baltimore clean-up effort appeared on Facebook and seems to have recruited thousands to hit the streets to sweep up some of the broken glass and debris that fill the city’s streets. Those who picked up brooms and trash bags were widely praised throughout the Internet. Well-known Today show personality Mario Armstrong has also apparently used Twitter to encourage residents of the area to take the discussion of what can be done in Baltimore a step further. Under the hashtag #More4Bmore, he began circulating registration “calling all creatives, leaders, doers, techies, writers, educators, problem solvers AND anyone who wants to get involvedâ€ to share “innovative solutionsâ€ to help solve some of the biggest issues that affect Baltimore. “What I am looking for are ideas, suggestions and people who want to take this conversation to the next level and make some real progress,â€ the form reads. Specifics have not yet been revealed as to what role techies could further play in the healing of this broken city.